Class Overview - Friedrich Schiller Schule Inc.
Friedrich Schiller Schule offers German language instruction for all ages and abilities. We appreciate you taking the time today to visit our website. Our goal is to take students of any age with beginner or no experience and make them fluent speakers of the German language. Our program is disciplined, rigorous, interactive and at the same time fun. Undoubtedly, you will have many questions and if you are a parent you will want to see progress in your child’s ability to communicate in German. And if you are a high school student or an adult, you will want to communicate in a manner that is helpful for many situations: career enhancement, leisure/travel, business and personal development. Friedrich Schiller German Lanugage School is an educational institution with experienced, certified and caring language teachers who dedicate their Saturday mornings to students in the hope of fostering the German language and heritage within the Greater Toronto Area. Please note, we are a non-profit organization and fees for exams and teaching materials are not included in your tuition fee. You now have the opportunity to sign up for the coming school year. Please click on the link Download Registration Form to download the appropriate form in printable resolution. Then click on the ‘Print’ icon to print the form. Please fill out the form completely and bring it to us in the Admissions Office on next Saturday. Before you sign the contract and make a payment, please make sure to read our Rules and Regulations. We offer special classes for students who speak English only. Our teachers are formally trained, certified, educational professionals recognized by the Peel Board of Education. We are committed to equitable hiring practices that allow us to hire qualified teachers who reflect the full diversity of the Region of Peel. For the safety of students, our teachers are required to submit a satisfactory criminal record check prior to the commencement of any employment duties. We are requesting applications for the following positions: Elementary, Middle School and High School teachers. Interested teachers can forward their letter of recommendation, CV and application to guschewski@ica.net. We teach German grammar, literature and cultural studies at the Deutsche Sprachschule Friedrich Schiller Schule Inc. Teachers are required to read, write and speak the German Language fluently. Most of our teaching staff is born in German speaking communities around the world. Those born in Germany and around the world have post secondary education. Some are tutors for German in the Canadian community. We do have certified Peel Board of Education teach members. Our teachers use many interactive methods of teaching to create a vibrant and confident learning environment. We want our students to have fun and excel while learning German. Learning German with your peers creates lifelong friendships. It has been shown that students thrive when they share a common language. ARE YOU QUALIFIED TO TEACH GERMAN? 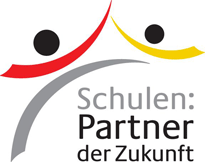 Friedrich Schiller Schule Inc. is requesting applications for the following positions: Elementary, Middle School and High School teachers. Curriculum and teaching materials are paid for and provided to the qualified teacher at the beginning of the school year. Interested teachers can forward their letter of recommendation, CV and application to guschewski@ica.net. During the school year classes are held from 9:00 am to 12:30 pm. There is no school on weekends that coincide with Statuatory Holidays (Thanksgiving, Christmas, New Years, Family Day and Easter). The school is closed for March Break. The current school year for 2018 – 2019 has begun. The new school year begins on September 7, 2019 at 9:00 am. Registration is in the school cafeteria. IMPORTANT: Registration to be completed on the first day of class and not early. Method of payment includes cash, personal cheque, bank draft or money order. Fees to be announced. Please submit a request for more information through our Contact Us page.